Hello there, we are starting a new series of posts over here in our little blog world and we thought you could all do with a little break from us talking all the time and so we would get the lovely Michelle from Spotted Rose to do some recipe posts for us once a month! We are really excited as it means we can look what yummy things she makes and amaze at how she has the time. We have known Michelle since our College days and so it's nice to share the love through the blog world. Enough of our rambling, it's over to her for her first post. I know you will all be lovely to her and definitely go check out her blog once you have read this. Firstly I’d like to say a huge thank you to H & Sammy for having me over on their gorgeous blog !! I have been an admirer of it for some time and it’s a great pleasure to be guest posting for them. A little about me: I run the little craft, baking & lifestyle blog www.spottedrose.co.uk and I blog about all things pretty. I am always creating things and baking and get so much enjoyment from it – I want to share it with everyone and help you to be creative too! 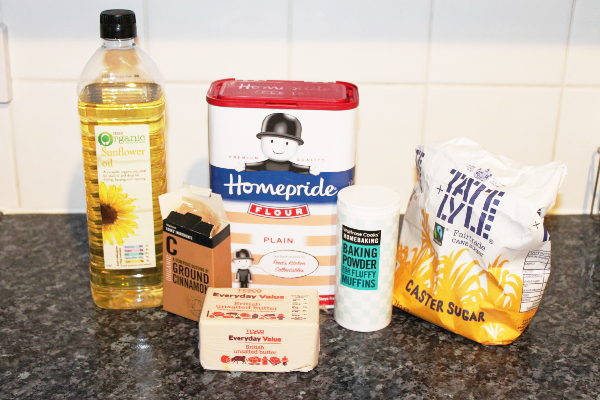 I LOVE baking and I want to try making everything that looks as good as it tastes – so I share tried and tested recipes for all sorts (normally sweet things!) I also love crafting – so I share tutorials on how to make gorgeous things yourself! There is a little bit on healthy foods too (this is growing) and a few lovely reviews thrown in just for fun! I also run a little Etsy shop where I sell some of the pretty crafts I make. You might be able to guess looking at it, that I love roses. So here is my first post and I REALLY hope you like it. I have had these for dessert a few times recently in one of my favourite restaurants and ooh they are yummy and moreish! I always thought they would be really tricky to make though so never gave them ago. But now I am in trouble, because they are super easy and SO much fun to make! I really hope if you feel the same and you will give them a go! You will need a cooking/sugar thermometer for the oil (although once it has been boiling for 5-10mins you should be at the right temp and just leave the heat on or do the bread test mentioned below). I got mine from a local hardware store for about £3. 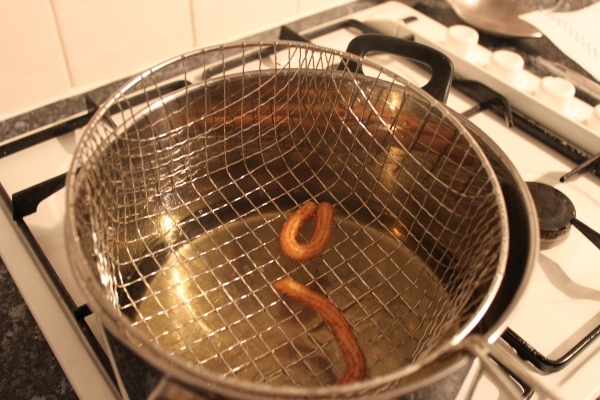 I also used a wire rack from a deep fat fryer, but you can just use a big fork/spoon with holes in. Pop the butter in a pan, you can cut into chunks to make it easier. Add 200ml of water and a pinch of salt and bring to the boil. Whilst this is boiling, sieve the flour and baking powder together. 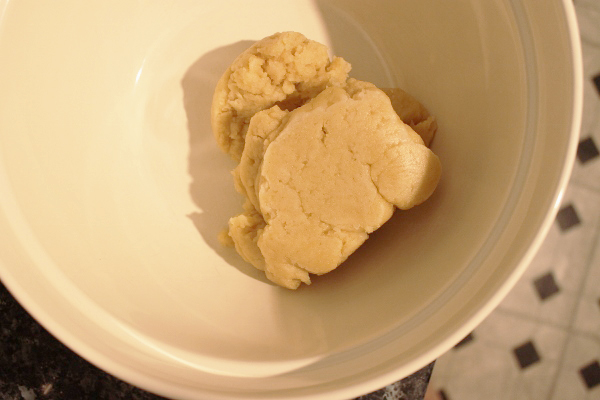 When the mixture is boiling, remove it from the heat and quickly stir in the sifted flour and baking powder. 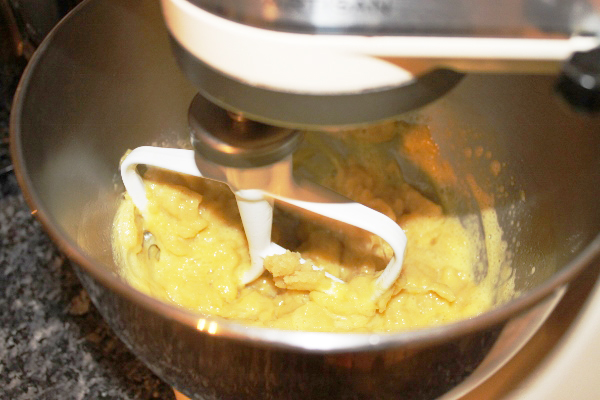 Beat the mix with a wooden spoon or mixer until it’s smooth. 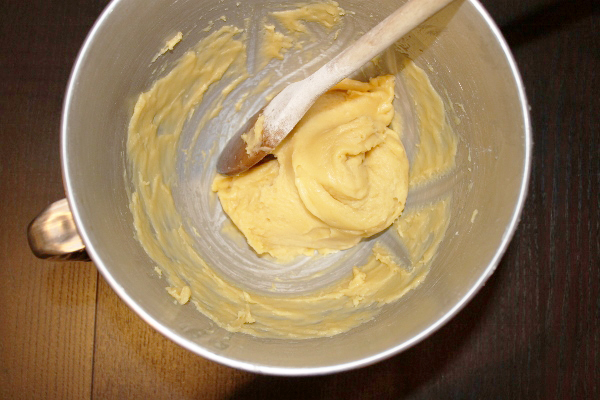 It will all come together and form a bit of a ball of dough like mixture as below. Tip the mixture into a bowl and cool for a couple of minutes. 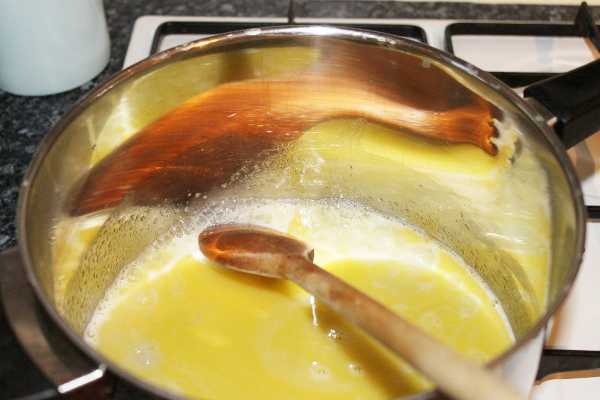 Then gradually add the beaten eggs one at a time, beating well until the mixture is smooth, glossy and drops reluctantly from a spoon. 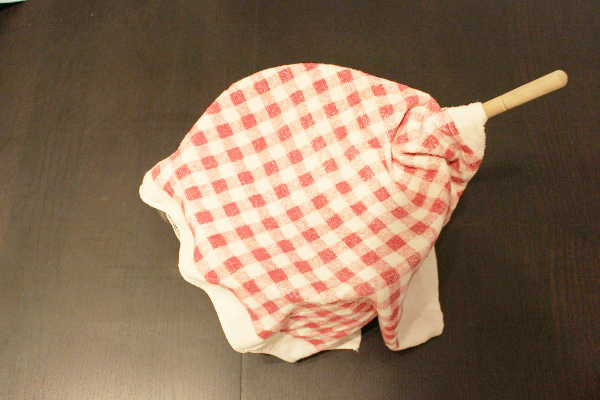 Cover the bowl with a clean tea towel and leave the batter to one side to rest for 30 minutes. 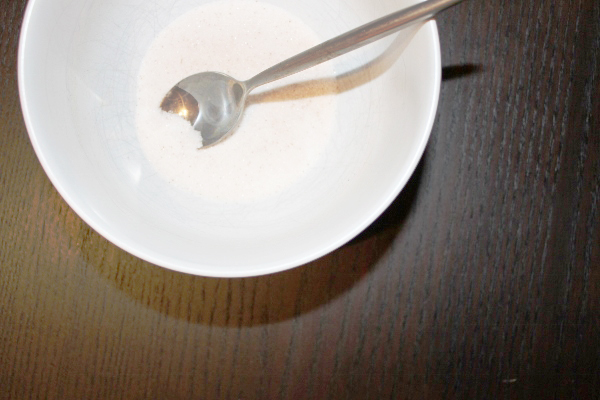 Mix your sugar and cinnamon in a bowl to get it ready for sprinkling. Fill your piping bag with the mixture, fitted with a star nozzle and once your oil is hot enough you are ready for the super fun bit! I was SO excited at this point. So, holding your piping bag really tight - pipe 2 small strips of batter directly into the hot oil, be careful and get some help if you need it or just for a spectator, because it’s so cool! 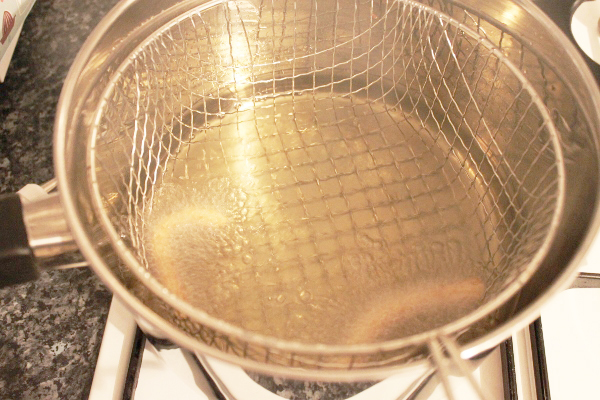 Chop the batter off with a pair of scissors and let it drop gently into the oil. Only do 2 or 3 at a time as they don’t take very long to cook. Ooh look at them sizzling!! 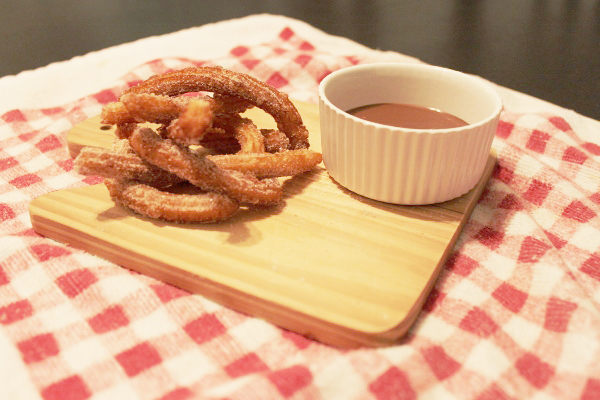 Cook them for about 45 seconds. You can keep pulling them out of the oil to see they when they are browned enough for your liking! 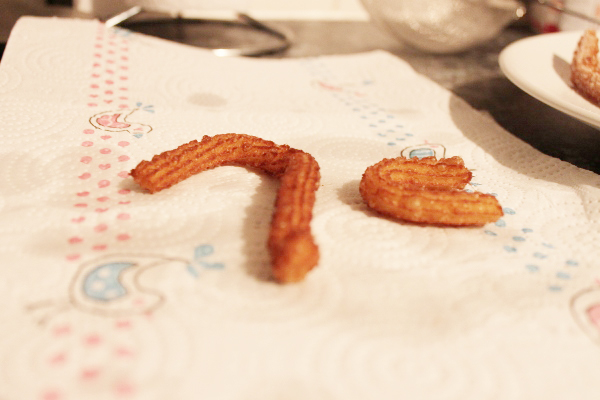 Tip them out on some kitchen roll for a few seconds. 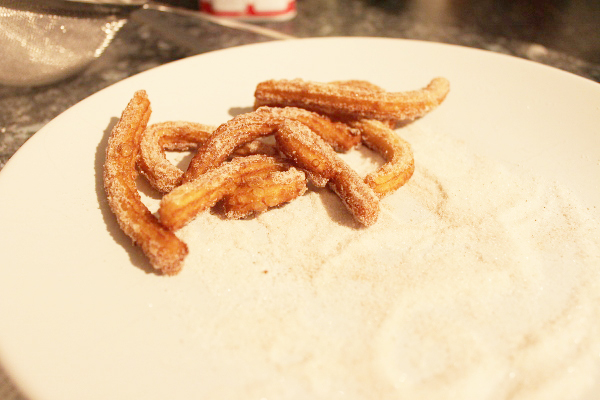 Then dip them, roll them or sprinkle them in your delicious cinnamon sugar mix! Ooh they smell SO delicious at this point – obviously you have to try one (or two, or ….eight)! Melt your chocolate at this point or if you are adventurous, make a nice chocolate sauce. 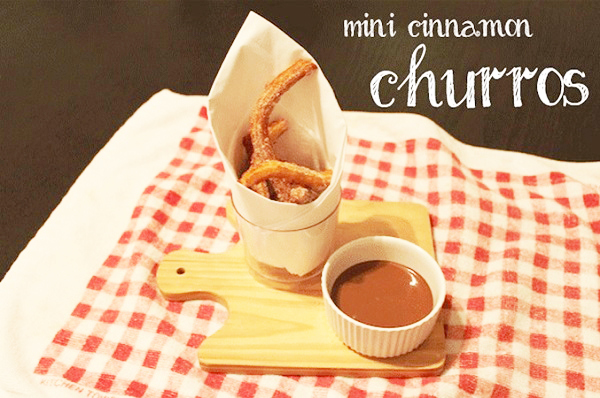 If you have any left at this point – display them nicely with your melted chocolate in a dish, I tried a couple of different ways and serve to you family & friends, I promise they will be devoured in seconds! I really hope you like them and are inspired to try them, as they really are so much fun to make and OH SO delicious to eat! hey Iced Jems, thanks for your comment. I have the feeling Michelle is going to make me feel very hungry with her posts!